Dr. Anne Thomas is the Associate Dean for Academic Affairs in the College of Nursing at Michigan State University. A member of NONPF for over 25 years, Dr. Thomas most recently provided leadership in the revision of the NP core and population focused competencies. As an adult/gerontological nurse practitioner for 30 years, Dr. Thomas has worked in rural, long-term care, occupational, and mental health care settings. She has held academic leadership positions at several universities and was the director for Research Nursing within the Medical Oncology Research Clinical Unit at the National Cancer Institute and the Director of the Health Promotion Laboratory at the National Institute for Nursing Research. Her professional work also includes engagement and leadership with ANCC, AACN, and CCNE. She is a frequently sought after for her curriculum and strategic planning expertise as it relates to NP education. In recognition of her leadership and sustained commitment to NP education and practice, she received was named a Fellow in AANP in 2012. Dr. Thomas earned her BSN and MSN from the University of Texas at Arlington and a PhD in Nursing from Texas Women’s University. Dr. Melander is a nationally known adult-gerontological acute care nurse practitioner (ACNP) leader. She is currently serving a two-year term as president of the National Organization of Nurse Practitioner Faculties. She was involved in the revision of the Acute Care Nurse Practitioner Scope and Standards document in 2006 and was a member of the work committee that established the 2012 Adult-Gerontological Acute Care Nurse Practitioner Competencies. She also led the development of the Statement on Acute Care and Primary Care Certified Nurse Practitioners. Additionally she facilitated the development of a second multiorganizational white paper addressing nurse practitioner employment, which is being used across the U.S. in both primary and acute care settings. Funded with a grant from the University of Southern Indiana College of Nursing and Health Professions, Dr. Melander started and taught in one of the earliest master’s-level ACNP tracks in the U.S. In 2003 she was recruited to the University of Tennessee College of Nursing to teach in the ACNP Track, where she taught at both the master’s and doctoral levels. Since 2003 she has been involved in high-fidelity simulation to maximize student learning. Dr. Melander has practiced for more than 12 years as a cardiovascular ACNP specialist in both hospital and office settings. She was the first certified ACNP to practice in the Owensboro/Daviess County, Ky., area. While practicing at Sandra Fallon Cardiology in Santa Monica, Calif., she was one of the first practitioners to be involved with advanced genetic counseling for cardiovascular disease treatment and prevention. She is a fellow in the Society of Critical Care Medicine as well as the American Association of Nurse Practitioners. Dr. Debra J. Barksdale is a distinguished Professor and Associate Dean of Academic Programs at Virginia Commonwealth University. She is a Fellow of the American Academy of Nurse Practitioners, the American Academy of Nursing and the NLN Academy of Nursing Education. In addition, she is also former Department of Health and Human Services Primary Health Care Policy Fellow. She is a Robert Wood Johnson Foundation Executive Nurse Fellows Alumnae. In December 2014, she was appointed to the Veteran’s Choice Act Blue Ribbon Panel. The Choice Act Blue Ribbon Panel conducted an independent review of assessments of the Veteran Administration (VA) to ensure that the recommendations reported to Congress serve our U.S. veterans and to transform the VA into an effective 21st Century model of service. On September 23, 2010, Dr. Barksdale was one of 19 members appointed to the 21-member Board of Governors for the new Patient-Centered Outcomes Research Institute (PCORI) by the U.S. Government Accountability Office under the Obama Administration. She is the only nurse appointed to the PCORI Board. In 2012, she was reappointed for six more years and will serve until Fall 2018. She chairs the Engagement, Dissemination and Implementation Committee, one of the organization’s three strategy committees. Dr. Barksdale practiced as a volunteer family nurse practitioner at the Robert Nixon Clinic for the homeless until moving to Richmond Virginia in 2016. In March 2015, Dr. Barksdale was quoted in the New York Times and appeared live on the national news program Al Jazeera America regarding the salary gap between male and female nurses. Additionally, she delivered a highly motivational TED Talk entitled Rising From the Mud which can now be found on YouTube. A recognized family nurse practitioner, educator, scholar and leader, Dr. Drayton-Brooks is distinguished as the first ethnic minority president in the history of the National Organization of Nurse Practitioner Faculties (NONPF), after serving 2 prior terms as the Secretary and President-Elect of NONPF. During her presidency, emphasis was on developing a formal business structure, increasing membership growth and leadership development, and promoting competency-based NP education and the DNP for entry into NP practice. As a past president Dr. Drayton-Brooks continued to serve as NONPF’s representative on the National Task Force on Quality Education for the 4th and the recent 5th edition of the Criteria for Evaluation of Nurse Practitioner Programs. Dr. Drayton-Brooks also served as NONPF’s representative to the LACE Communication Network from 2013 until 2017. Past distinguished honors include serving on the HRSA’s National Advisory Council on Nursing Education and Practice. She continues to work with many schools as a programmatic quality consultant. Dr. Dumas served as Educational Resources Chair for NONPF from 1999 to 2003. She edited and co-authored Partners in NP Education: A Preceptor Manual for NP Programs, Faculty, Preceptors & Student, 1st Edition (2000), 2nd printing (2005), and 2nd Edition (2015). She wrote two testimonies for the IOM Forum on the Future of Nursing, and presented the testimony on NP Education. During her tenure, the NONPF board of directors developed and published NP educational policies. On September 9, 2009 Dr. Dumas had an opportunity to provide input for the health care bill that would become the Affordable Care Act. She is responsible for the neutral provider language that was inserted into the bill. Dr. Dumas has been an NP for 40 years. She has served as a Navy Nurse Corps Officer, NP educator and faculty scholar. In 2003, she completed the DHHS Primary Care Health Policy Fellowship. She has practiced primary care as an FNP and GNP at the Northport NY VA Medical Center. She has taught nurse practitioner students for 23 years at Stony Brook University and retired as Professor Emeritus in 2013. She also helped established the Hofstra University Northwell School of Graduate Nursing. Dr. Dumas holds fellowships in the American Association of Nurse Practitioners and the American Academy of Nursing. She currently serves as a Co-Chair for the American Academy of Nursing’s Military/Veterans Expert Panel and as Vice-Chair for the ANA’s Individual Membership Division (Elected). Dr. Dumas was appointed by President George W. Bush to the medical ethics sub-committee of the Defense Health Board. She received the Sharp Cutting Edge Award(2001) from the American College of Nurse Practitioners, the STTI Founders Education Award, and the SUNY Chancellor & SBU President’s teaching awards. Dr. Pohl brings 35 years’ experience as a nurse practitioner, educator and researcher in primary care. At the University of Michigan she directed the Adult Nurse Practitioner Program, 1993-2000 and then served as Associate Dean for Community Partnerships from 2000-2008. Her research led to the first and only national standardized data warehouse for Nurse Managed Health Centers and focused on the outcomes of care and cost of care, community responses and student experiences in these centers. Dr. Pohl has published extensively and presented at numerous national and international conferences. Dr. Pohl was a NONPF Board member (1998-2002) before serving as president. She most recently represented NONPF in co-chairing the National Task Force Criteria update released in 2016. She received NONPF’s Lifetime Achievement Award in 2011. She served on the initial QSEN Advisory Board that developed criteria for quality and safety in nursing and published work on cross mapping QSEN criteria with the NONPF Core competencies. She also served on an Institute of Medicine Committee that addressed Geographic Adjustment Factors in Medicare Payment. She is a Fellow in the American Academy of Nursing and the American Association of Nurse Practitioners, receiving the first Loretta C. Ford award from the latter. She is currently serving on Washtenaw County’s Board of Health in Michigan, appointed by the County Commissioners, and she is also currently President of the Haiti Nursing Foundation in the U.S. Nationally and internationally known for her work with teen mothers, Ann Lawrence O’Sullivan is a pediatric nurse practitioner whose goal has always been to help teen parents delay a second pregnancy. Since she started the Teen-Tot Clinic in 1980 at The Children’s Hospital of Philadelphia (CHOP), Dr. O’Sullivan has studied and cared for teen mothers. Her research, based largely on questions from her clinical practice, has ranged from her dissertation on adolescent mothers’ decision-making to the value of home visiting programs for teen mothers, and how young mothers care for their children, return to school, and balance roles as student and parent. Dr. O’Sullivan’s research—funded by the National Institute of Nursing Research, Independence Foundation, Robert Wood Johnson Foundation, The Pew Charitable Trusts, and William Penn Foundation—concluded that mother and child had to be studied as a dyad; that young women who took being a parent seriously were more likely to get pregnant again; that teenagers who failed either first or fifth grades were at greater risk of repeat pregnancies; and that a mother’s best chance to stay in school, find housing, and provide for her child depended on delaying a second pregnancy. Based on her findings, Dr. O’Sullivan created the Teen Mother-Baby Program in 1986 to provide support services and birth control to teen parents, a joint program of CHOP and Penn’s School of Nursing. A clinician educator since 1987, Dr. O’Sullivan has worked for over a decade to develop policies that expand full practice authority for advanced practice registered nurses. She is recognized as a leading proponent of the movement, and has written and lectured extensively on the need to remove scope of practice restrictions and increase professional collaborations between physicians and advanced practice registered nurses. From 2004-2016, Dr. O’Sullivan served on the Pennsylvania State Board of Nursing’s advanced practice registered nurses committee, which is monitoring full practice authority legislation introduced in the Pennsylvania House and Senate. She also served on NCSBN Board since 2012-2014. With a career of over 30 years as a pediatric nurse practitioner (PNP), educator and author, Dr. Pulcini directed nurse practitioner programs at Northeastern University, Boston University and Boston College and has consistently been a leader in health care and nursing policy at local, state and national levels. She is a Fellow of the American Academy of Nursing, a Fellow of the American Academy of Nurse Practitioners, a Distinguished Practitioner in Nursing, National Academies of Practice and a former Primary Care Policy Fellow. She is a senior associate editor for Policy, Politics and Nursing Practice, and was the Policy and Politics Contributing Editor for the American Journal of Nursing. In 2014 to 2015 she was the first Chair of the American Academy of Nursing’s Expert Panel on Primary Care. Dr. Pulcini has been an active member of the International Nurse Practitioner/Advanced Practice Nursing Network for 12 years serving as a co-Chair of the Education/Practice subgroup for 8 years and currently is a member of the Core Steering Group. She has led service learning trips for students to Haiti, Nicaragua and Ecuador and developed Global Health Courses for graduate and undergraduate students. She has authored more than 70 peer reviewed articles, chapters and policy papers, two editions of a well-known textbook on pediatric primary care and has participated in more than150 scholarly presentations about topics ranging from health care financing and policy issues for nurse practitioners to postpartum depression, childhood asthma and allergy and improvements in nurse practitioner education. She was an investigator in twelve funded research grants and three grants for educational programs and was Principal Investigator on ten of these projects. Prior to moving to DC, she was a member of the Strategic Advisory Committee for the Massachusetts CHIPRA Quality Demonstration Grant Project from 2010 to 2012. She also was a member of the Massachusetts Health Quality Partners, Patient Experience Survey Workgroup in 2009. Dr. Janet D. Allan was appointed dean of the University of Maryland School of Nursing in June 2002 and retired in 2012. She previously served as dean and professor at the University of Texas Health Science Center at San Antonio, School of Nursing as well as Professor at the University of Texas at Austin and Associate Clinical Professor at the University of California, SF. In her national role, Dr. Allan served as board member and treasurer of the Board of Directors for the American Association of Colleges of Nursing (AACN), and was its representative on the multidisciplinary Healthy People Curriculum Task Force. 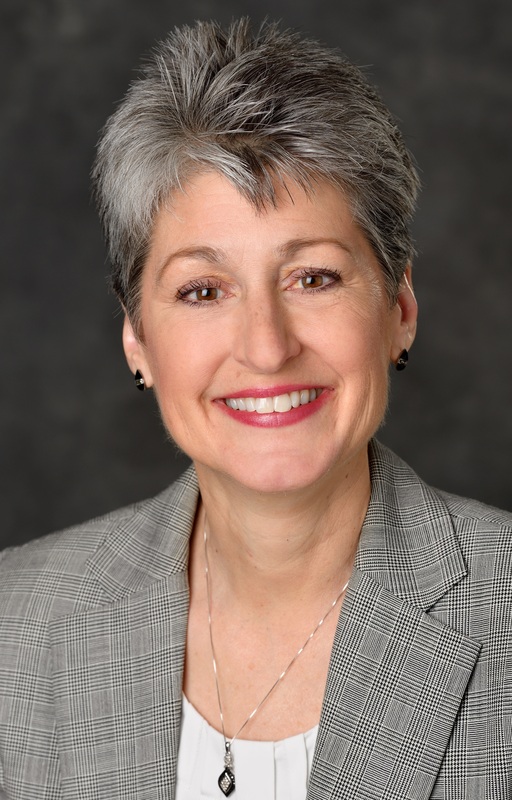 She was a member of the AACN task force that developed the Essentials of Doctoral Education for Advanced Nursing Practice and board liaison for the task force on The Research-Focused Doctoral Program in Excellence: Pathways to Excellence. After the Institute of Medicine/Robert Wood Johnson Foundation (RWJF) released the Future of Nursing report in 2010 recommending advancing health through nursing, Dr. Allan initiated and served as co-chair of Maryland’s Action Coalition, a large group of diverse stakeholders charged with developing a blueprint for implementing the recommendations in Maryland. Dr. Allan was vice-chair of the U.S. Preventive Services Task Force from 1998 to 2004 and served as the lead spokesperson on topics such as breast cancer screening, hormone replacement therapy, and adult obesity. She formerly served as a member of the Board of Directors of the American Academy of Nursing. In 2002, she received the NONPF Lifetime Achievement Award. Dr. Gilliss is an academic leader whose career has focused on transforming organizations toward making their maximum contribution for their constituent members and for society. Prepared in the discipline of nursing, she has led Yale University’s and Duke University’s Schools of Nursing in the capacity of Dean and Dean and Vice-Chancellor, respectively. Under her leadership, both schools expanded the size and quality of the faculty, the staff, the student body and the quality of the academic programs. At Duke she oversaw an unprecedented expansion of programs and facilities, including a modern headquarters building. Both institutions rose in national and international recognition, as measured by USNWR rankings and NIH revenues. Dr. Gilliss has similarly brought leadership to several professional organizations. During her tenure as president, she hired the first full-time Executive Director, Kitty Werner, and established a professional headquarters. As part of the initial officer group of the Primary Care Fellowship Alumni Group (1998-9), she helped to incorporate the group and establish an organizational structure and program plan. While President of the American Academy of Nursing (2009-2011), she oversaw the expansion and relocation of the headquarters to a central location in DC which was conductive to the policy-focused mission of the organization, hired a new Executive Director and supported the expansion of budget through grants and a stronger program of philanthropy. She served as a Regent at the University of Portland (OR) (1994-2000) and is now a Board Member for the Triangle Residential Options for Substance Abusers (TROSA). Caring deeply about enabling the work of others and diversity in nursing, Gilliss collaborated with others to establish two successful pipeline programs. The Yale-Howard Scholars Program recruited Howard University undergraduates to paid summer internship in nursing research at Yale. At Duke, she secured initial support for the Making a Difference in Nursing Program, which introduced high achieving college students from minority-serving institutions to nursing through a paid summer internship. Both of these programs were eventually supported by the federal government and one served as a model for a major federal initiative to strengthen the pipeline of minority scientists in nursing. She was a 2015 Fellow in Stanford University’s Distinguished Careers Institute, during which time she was a Visiting professor at Stanford School of Medicine. Dr. Hanson has been in clinical practice as a family nurse practitioner since 1973. She was Chair, Governing Body for the National Alliance of Nurse Practitioners and Co-Chair of the National Task force on Quality Nurse Practitioner Education. She held congressional appointments for the National Advisory Committee on Rural Health and for the National Advisory for Nursing Practice and Education. She served as consultant for the APRN Advisory Panel of the National Council of State Boards of Nursing during the evolution of the Consensus Model for APRN Regulation from 2003-2014. Dr. Hanson was co-editorial director of the American Journal for Nurse Practitioners and editorial director for NP World News. She has edited books and written multiple chapters, journal articles and monographs on advanced practice nursing and has presented numerous international and national keynote addresses. She has served as consultant to schools of nursing for curriculum and faculty development. She was inducted as Fellow in the American Academy of Nursing in 1994 and was the recipient of the Loretta Ford Award for Excellence in the Advancement of Nurse Practitioner Education in 1995. Ms. Zimmer is a Family Nurse Practitioner who has practiced in the areas of adult health, women’s health, and family practice in both urban and rural areas. She has guided the portfolio of work of the Nurse Practitioner Healthcare Foundation (NPHF) in public policy, patient education, public health awareness campaigns, provider education, and national scholarship, fellowship, and awards programs. She is a co-founder of America’s Nurses, a national resource for support of nurse-led/owned practices. She chaired the development of ARNPs UNITED, a statewide effort that brought together nurse midwives, NPs, and certified nurse anesthetists in an organization that has become the voice for advanced practice nursing in the State of Washington. In recognition of her leadership in the state, she was awarded the organization’s “Mover and Shaker Award.” During her tenure at NONPF Ms. Zimmer led the development of Advanced Nursing Practice: Nurse Practitioner Curriculum Guidelines. In recognition for this work, she was the first recipient of NONPF’s Outstanding Nurse Practitioner Educator award. She has also served as president of the American College of Nurse Practitioners (ACNP), and for 8 years served as ACNP’s Director of Marketing and Corporate Relations. She also initiated the development of ACNP’s National Clinical Symposium. For her service to ACNP, she received the Sharp “Cutting Edge” Award. Internationally, Ms Zimmer has provided consultation to the development of the NP role/NP education in The Netherlands, Canada, and Japan. She has served as a consultant for the University of British Columbia and has twice served as a NP program site reviewer for the College of Registered Nurses of British Columbia (regulatory agency). In addition to her leadership in the NP profession, Ms. Zimmer has served as a peer reviewer for the Division of Nursing, HRSA, and as a consultant for the Agency for Healthcare Research and Quality (AHRQ) and the National Health Service Corps. She was on the editorial boards of the American Journal for Nurse Practitioners and NP World News for 15 years. She currently serves on several national advisory boards. In 1996, she was selected by the U.S. Public Health Service as a Primary Care Policy Fellow. Since then she has actively engaged in the policy arena. She has provided expert testimony to the Food and Drug Administration and the Institute of Medicine. She spearheaded the NPHF white papers, which provide resource support to public health policymakers and illuminate issues of national importance in healthcare. She is a Fellow of both the American Academy of Nursing and the American Association of Nurse Practitioners. In 2012 she was honored with the Loretta C. Ford Lifetime Achievement Award from the National Nurse Practitioner Symposium.